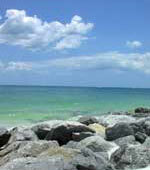 An investment in Sarasota Florida real estate brings boundless sun-splashed benefits. Beautiful weather, pristine beaches, gorgeous sunsets and abundant wildlife will bring your dream of a tropical lifestyle alive. Culturally rich, Sarasota has an abundance of entertainment, recreational and educational choices. You can enjoy the symphony, dinner theatre, film festivals, ballet, the opera and numerous nightlife activities. Year-round golf, boating, tennis and fishing are just a few of the activities that Sarasota FL residents enjoy. Florida's seventh largest real estate market and one of the fastest growing, Sarasota County has a population of nearly 400,000 residents and more than 700,000 residents in Charlotte, Manatee and Sarasota counties combined. The median Sarasota sales price for a single family home this year was $294,800, compared to $302,100 in 2006 for a 2 percent decrease. 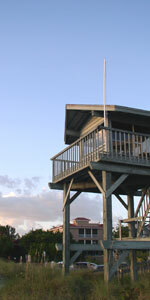 The number of homes sold in Sarasota in April 2007 was 796, compared to 685 in April 2006. Residents enjoy the neighborly warmth of a small town united with the facilities and modern-day infrastructure of a larger city. Within its borders of 572 sq. miles, Sarasota County encompasses numerous other great neighborhoods and real estate opportunities, including Sarasota, Englewood, North Port, Venice, St Armands Circle; and the barrier islands of Casey Key, Lido Key, Longboat Key and Siesta Key. Sarasota is beautiful and captivating. The Gulf of Mexico and Sarasota Bay create a vibrant array of colors from the warm hues of the setting sun to the bright tropical flowers to the deep blues and greens of the Gulf. With the feel of a tropical paradise, the beaches of Siesta Key are officially designated "the whitest, finest beach sand in the world”. Luxurious estates and condos, an active cultural center, and world class recreation make Sarasota Florida the place to live your dream! What type of home are you selling? Becoming a FL Resident | Florida Drivers Licenses | Registering to Vote | Taxes & Homestead Exemption | Sarasota Zip Codes | Florida Driving Distances | Sarasota Hospitals & Medical | Sarasota Utilities | Why Move to Florida? © 1999-2019 SarasotaFloridaUSA.com & Boca Company All Rights Reserved.